Prosecutors said its case in the second trial set for Sept. 17 will "last approximately ten to 12 trial days," Special Counsel Robert Mueller's team of attorneys, digging into Russian interference in the 2016 president election, wrote in a filing Friday evening in U.S. District Court in the District of Columbia, obtained by Politico. The defense said its case "will require between three to four trial days." 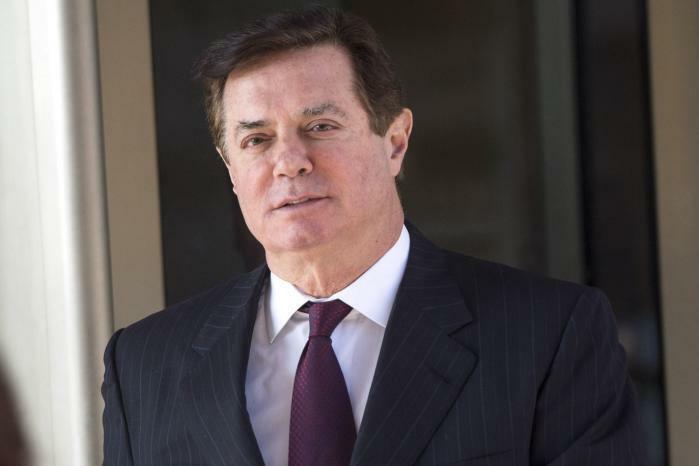 Manafort, 69, faces seven counts in the upcoming D.C. case, including charges of conspiracy against the United States, money laundering, tax fraud, failure to file reports of foreign financial assets, serving as an unregistered foreign agent, making false and misleading statements under the Foreign Agents Registration Act, and witness tampering. The witness tampering charges were added a couple months ago along with charges against Konstantin Kilimnik for allegedly being an accomplice. "Should the defendant testify in the upcoming trial, the government intends to offer for purpose of impeachment the defendant's prior convictions," prosecutors wrote in the filing, referring to his first case in Virginia, where he was found guilty Tuesday on eight counts out of 18 counts he faced. The eight counts in Virginia included five tax fraud charges, one charge of hiding foreign bank accounts and two counts of bank fraud. The verdict came after four days of deliberations during which the panel of six men and six women indicated it had difficulty reaching a consensus on 10 other counts. District Court Judge T.S. Ellis III declared a mistrial on those 10 other charges after jury became deadlocked. The charges the jury were deadlocked on included three counts of not filing a form to report a foreign bank account and seven counts of committing bank fraud or conspiring to commit bank fraud. The indictment -- filed in Virginia in February -- accused him and business associate Rick Gates of lying to banks about their business income in order to get more than $20 million in loans. Manafort faces up to 80 years in federal prison on the eight criminal counts. A verdict formed released Thursday showed that there was just one person holding out from conviction on the 10 other counts, with 11-1 in favor of conviction. A judge has ordered Mueller's team to notify the court by next Wednesday if a retrial is planned on the 10 counts in Virginia. Manafort resigned as Trump's campaign chairman in August 2016 after The New York Times reported a Ukrainian government corruption probe found Manafort received nearly $13 million off the books from a pro-Russian Ukrainian political party.